A rebuttal to some Mainlanders’ tendency to romanticize Chiang Ching-kuo in the discussion of Taiwan’s transition to a democracy in late 1980s. Chang Tieh Chi (張鐵志) is a Taiwanese commentator on politics and music and authors of multiple books. 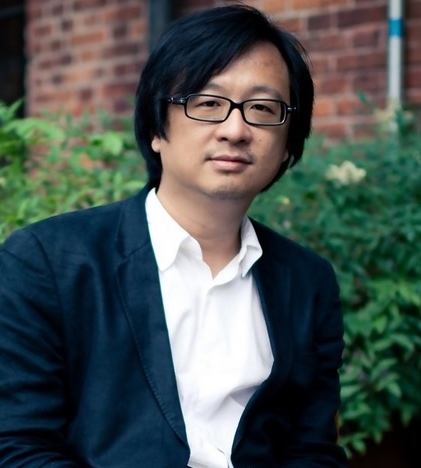 He’s currently the editor-in-chief of City Magazine in Hong Kong. Perhaps out of disappointment in their own society and expectations for change, in mainland China, Chiang Chang-kuo (蒋经国) has been adored by many for his contribution to Taiwan’s democratization. Opinion pieces on the subject tend to ignore his suppression of the democratic movement in mid 1980s. Or even when they do acknowledge his authoritarian rule, they still believe he made great decisions in the mid- 1980s out of a “sudden” epiphany of conscience. Mr. Shu Tong’s recent article “The Quiet Start in the Late years of Chiang Chang-kuo” in The Economic Observer (经济观察报) is more or less such an example of understanding Chiang Chang-kuo and Taiwan’s “quiet revolution.” But regrettably, it left out the historical context. The author marks the beginning of the “quiet revolution” as the time Chiang declared the end of martial law in 1987 and lifted the ban on political parties and restrictions on the press in 1988. This is, I would say, a mischaracterization. Originally, “quiet revolution” meant that Taiwan’s entire democratization didn’t involve violence and blood-shed in comparison to political transformations elsewhere, with only few exceptions such as the “Wang Sing-nan bombing case” (王幸男炸弹案) and “the murder of the Lins” (林宅血案). Such quietness is a result of self-restrain on the part of the rulers and also on the part of the resistance. Therefore, the “quiet revolution” must be seen as a much longer process not started single handedly by Chiang Ching-kuo. Mr. Shu’s article poses the right question, that is, “did Chiang Ching-kuo take the initiative to reform or did he have no choice?” But, the ensuing discussion hardly touches on the democratic movement since the 1970s and the pressure it put on the Kuomingtang regime. Therefore, the article reaches the conclusion that, for Chiang Ching-kuo, the easiest option was to maintain martial law. Instead, he made the hardest choice—he chose to bid goodbye to the old system. During an exclusive interview with Mrs. Graham, the publisher of the Washington Post, Chiang Ching-kuo revealed that Taiwan would lift martial law. But the facts speak otherwise. When Chiang Ching-kuo decided to implement political reforms in 1986, he was making the most reasonable, least costly choice. In the parlance of political science, authoritarian rulers would weigh “the cost of a crackdown” and “the cost of tolerance” when faced with pressure for reform from the people. Once the pressure for political reform has reached a point when rulers cannot ignore it anymore and when suppression does not help to maintain power, or in other words, when the cost of tolerance is smaller than the cost of a crackdown, rulers will likely tolerate the opposition, give up cracking down, and implement reform to prolong their regime. This was precisely the situation in Taiwan in the mid and late 1980s. Let’s take a look at the history. To analyze the Chiang Ching-kuo’s political reform in mid-1980s, we must first of all talk about the Kao-Hsion Incident (also known as Formosa Incident) in 1979, in which the KMT regime arrested many of the elites in the democratic movement and tried eight of them in military court. Obviously this was Chiang Ching-kuo’s attempt to stamp out the growing democratic movement against the KMT. What the regime did not expect, however, was that the Kao-Hsion Incident didn’t succeed in silencing voices of opposition rising since the 1970s. Entering the 1980s, more social forces and dissenting voices began to erupt. First of all, in the central supplementary election of public representatives held at the end of 1980, the non-KMT forces scored victories by capturing 30% of the vote with their overall rate of support higher than in the 1970s. In particular, a few of the family members of the political prisoners became candidates with the platform of “fighting for justice” and were all elected with high vote counts. The following year, several defense lawyers in the Kao-Hsion trial, such as Chen Shui-bian (陈水扁), Hsieh Chang-ting (谢长廷) and Su Tseng-chang (苏贞昌), were elected with broad support. Though the “Formosa generation” had been imprisoned, the “lawyer generation” and more young people joined the democratic movement. That means the non-KMT forces had restructured themselves, taken off, and had 30% public support behind them. The KMT could no longer ignore them. Incidentally, the democratic movement had become more and more organized. In September, 1982, it once again put forward a joint campaign platform; in 1983, different groups in the movement established “Non-KMT Public Policy Association” and “Association of Non-KMT Editors and Writers.” In 1983, the two organizations took 29.3% of the vote in the legislative election, more than the 27.9% in 1980. In 1985, the two organizations formed a united “Support League for Non-KMT Candidates in the 1985 Election.” This was already the harbinger of the official establishment of a political party in September, 1986. During the 1980s, Taiwan had also seen the emergence of more non-KMT magazines. These publications reported political scandals and social injustice, and were frequently shut down for their sharp criticism of the government. But there were always new publications coming to the fore. With the expanded political space, the 1980s also saw the emergence of social movements and street protests, and from 1983 onward, their numbers began to skyrocket. The causes included environment, labor, consumer rights, aboriginal rights, the student movement, etc. According to statistics, there had been about 3,000 street protests from 1983 to 1986. While the pressure from the people ratcheted up, the KMT’s party apparatus began to break down. First, entering 1980s, Chiang Ching-kuo’s health began to deteriorate. Second, crises plagued the regime one after another. For example, the “Chiang Nan case” in 1984 upset the US, which pressured the KMT government. Then there was the “No. 10 Credit Union case” that led to the resignation of the economic minister. Meanwhile, Chiang Ching-kuo’s health kept worsening. Unlike other senior KMT leaders, such as Huang Shao-Ku (黄少谷), Yen Chia-kan (嚴家淦) and conservatives in the military, Chiang Ching-kuo was not among the most conservative forces within KMT. Instead, he hoped to keep the KMT in power by making small reforms. For example, in the early 1970s when he recognized that the regime was facing a crisis, he began to promote native Taiwanese elites as well as to push for supplementary elections of “central public representatives” to gain new legitimacy for the regime. But these measures fell short of expectations, as the Kao-Hsion Incident demonstrated. When demand for democratization grew stronger and stronger over the course of the 1980s, he began to realize that he must implement greater reforms to maintain the life of the regime. During the 3rd plenary session of the 12th Central Committee in 1986, the KMT made the decision to tolerate other political parties. The Democratic Progressive Party (DPP,民进党) was formed later in the same year. Half an hour after the DPP announced its establishment in the Grand Hotel in Taipei, police headquarters submitted to Chiang Chang-kuo a list of names for arrest, and Chiang answered, “Arresting people won’t solve the problem.” That year he proclaimed “I too am Taiwanese.” The following year he lifted martial law that had lasted for nearly 40 years and implemented some liberal reforms. But to make sure the KMT stayed in power, he did not increase the number of seats in parliament open to election. We can say that, Chiang Ching-kuo was a wise ruler who, in the face of democratic pressure, decided not to do something against the tide. This is an important difference between him and other dictators. I understand that some mainland authors romanticize Chiang Ching-kuo out of a desire for a similar leader in China. However, when doing so, they are not analyzing Taiwanese history for its own sake. They will be waiting for reform in vain if they don’t understand the real reasons why some rulers choose to reform. By China Change in Analyses and Opinions, Political Transition on June 3, 2013 . 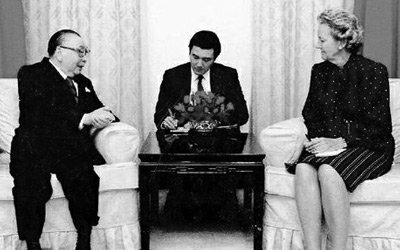 The man between Chiang and Graham is Ma Ying-jeou, isn’t he?